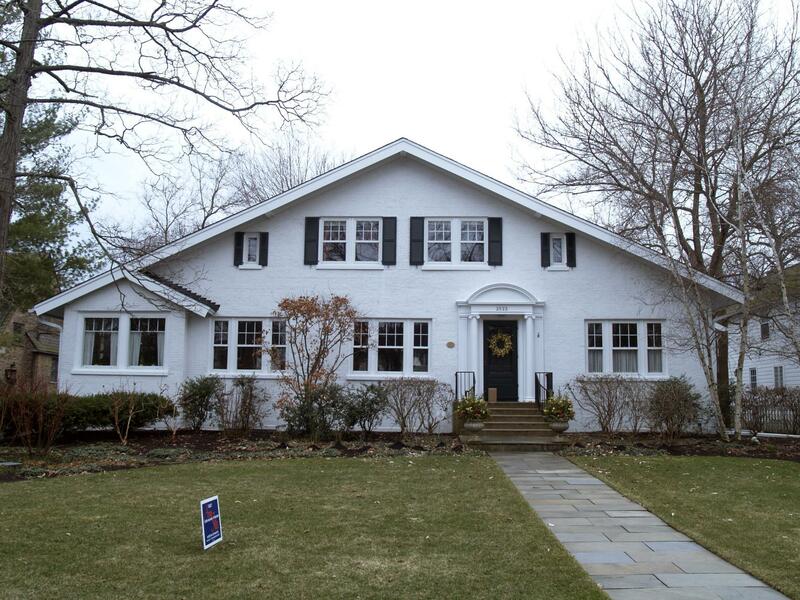 Historic Features: Dramatic hipped-roof gable front with pedimented, columned entry; double-hung three-window groupings on first floor; paired window groupings on second story, small gable roofed bay on northeast corner of north elevation, distinctive Colonial Revival bungalow. Alterations: Brick painted, shutters added, replacement windows. 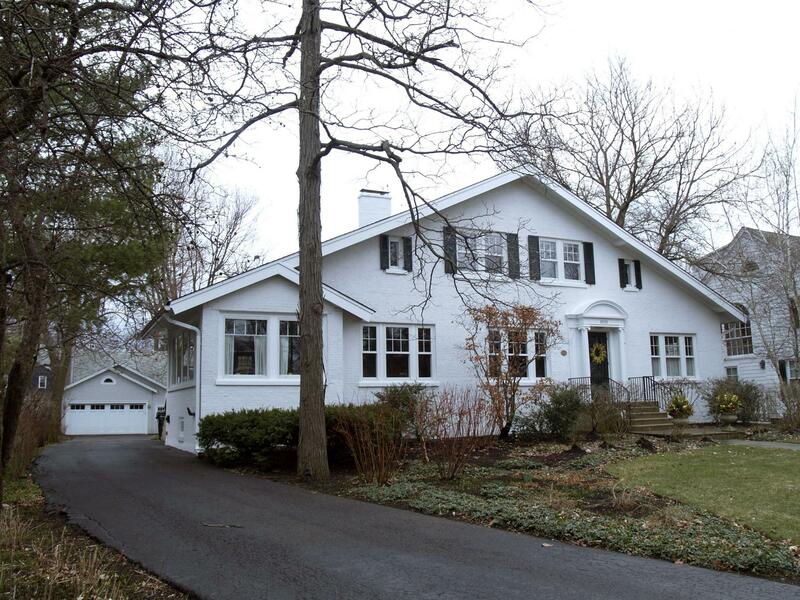 Building Permit Description: 1-1/2-sty brick bungalow, 61'6" x 35'6" x 25' high. COA Info: 15PRES-0122: Expansion of existing 2-car detached gar to create 3rd bay; 14PRES-0115: Strip entire house roof down to wood, install ice shield, felt paper and asph shingles, no change in roof structure; 02HIS0000000116: Demo existing gar, construct new frame gar of same material (walls and roof) as existing.